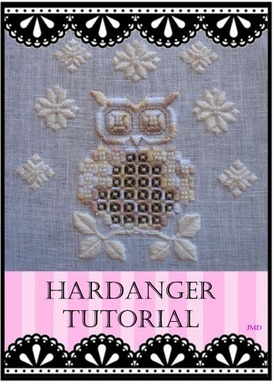 Hardanger embroidery is also know as Hardanger or Whitework. 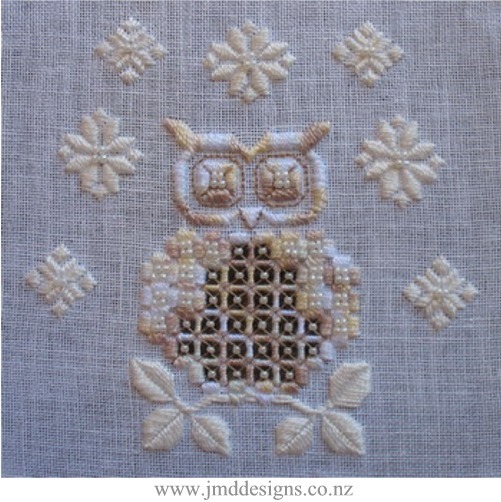 It was traditionally stitched on white fabric with white thread. An even weave fabric is need as the design is stitched from a geometric graph. 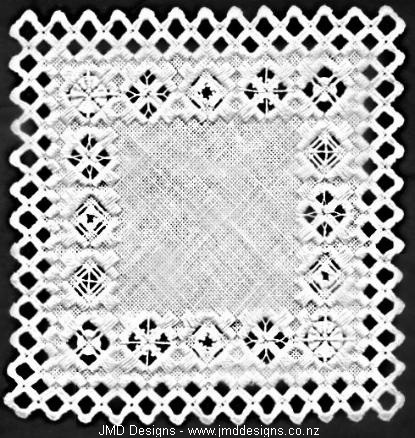 Groups of Satin stitch make what is known as Kloster Blocks. Certain edges of the Kloster blocks can be trimmed along and fabric threads removed and the remaining woven or whipped; to give an open look to the design. Buttonhole stitched edging is a common way of finishing mats and table cloths. 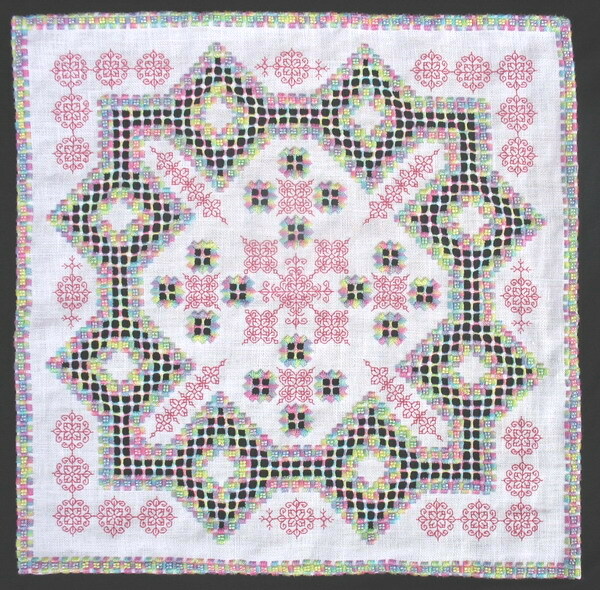 Hardanger is a wonderful style of embroidery which can be done in so many ways with the exploration of fabric, thread, beads etc. You can do the more traditional look or include as much colour or techniques you like…. After all you are in charge of the needle. 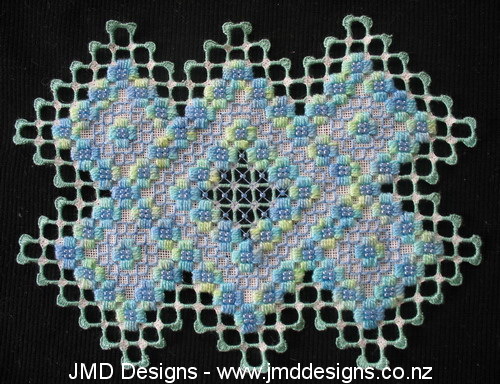 I have enjoyed adding the turned under edge with the addition of beads. Also adding a Counted Thread stitching known as Blackwork. 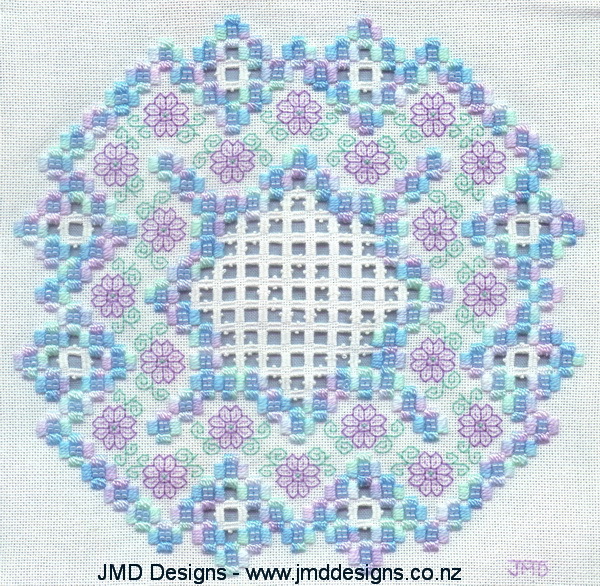 I have added more colours to the usually single coloured Blackwork designs. Finished size on 32count even weave linen fabric: 15cms (6 inches). 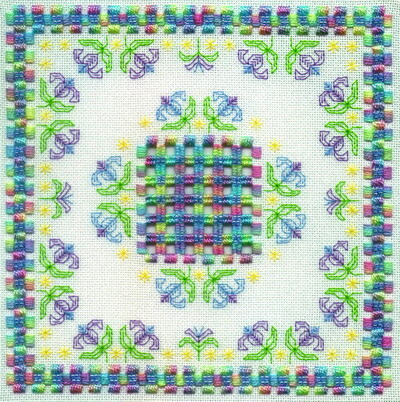 There are nine different filling stitches. 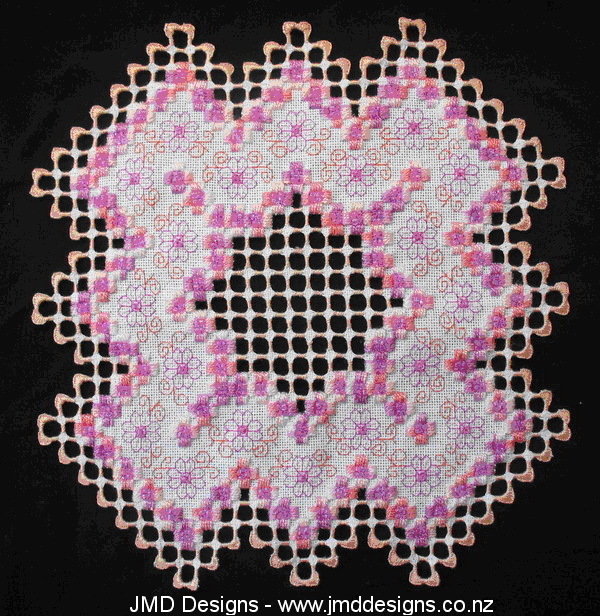 A variation of 'Peaches in Pink' as shown above.